Organize your sugar packets, sweeteners or teas with this beautifully designed twist sugar/sweetener packet basket by Spectrum. Perfect for entertaining guests. Coffee and tea time just isn't complete with this piece. 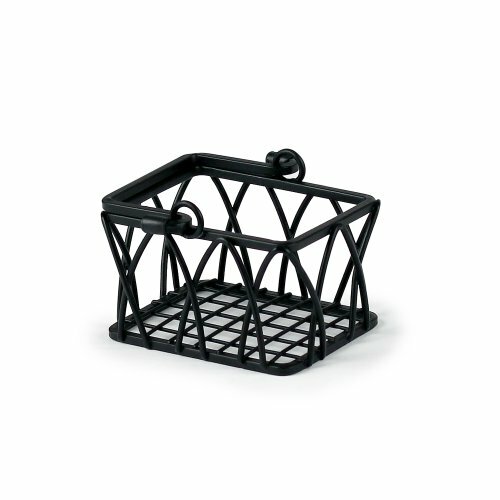 Crafted from durable steel, this basket includes a pivoting handle for easy carrying. Measures 3.5"L x 4"W x 2.5"H. Spectrum products incorporate original designs created by and for the exclusive use of Spectrum. Most of Spectrum’s products are protected by intellectual property rights including issued design patents and pending design patent applications. Protection for certain products may be provided and/or augmented by other federal and state proprietary rights including trademark, trade dress and copyright rights in the appearance and design of the products. Add style and organization to coffee and tea time with Spectrum's Pantry Works Sugar/Sweetener Packet Basket. 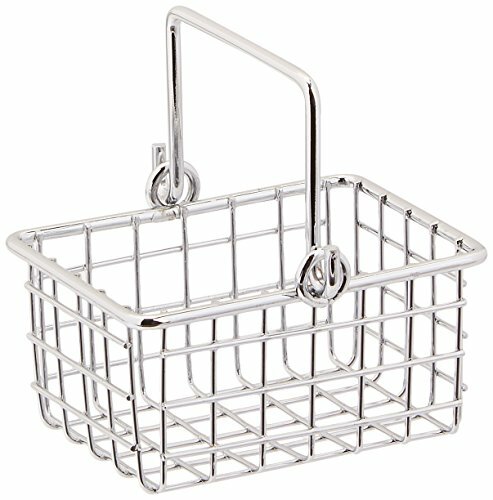 Perfect for storing sweeteners and tea bags, the Pantry Works Basket is also great for holding small bathroom accessories such as cotton balls or small lotions and soaps. A pivoting handle allows for easy carrying from room to room. Made of sturdy steel and shiny ceramic, the sleek and simple design will add a contemporary touch to your home. Measures 3.5"L x 3.75"W x 2.5"H. Spectrum products incorporate original designs created by and for the exclusive use of Spectrum. Most of Spectrum’s products are protected by intellectual property rights including issued design patents and pending design patent applications. Protection for certain products may be provided and/or augmented by other federal and state proprietary rights including trademark, trade dress and copyright rights in the appearance and design of the products. Serve coffee in style with American Metalcraft’s Birdnest Sugar Packet Basket. 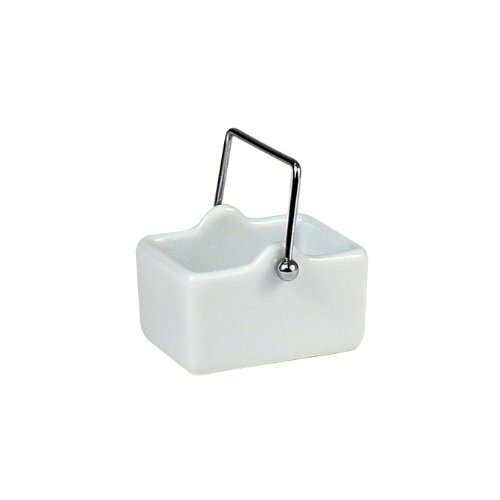 Made of chrome-plated steel for durability and a professional appearance, this holder is perfect for sugar, tea, or sweetener packets. The intertwining “birdnest” design adds a truly unique and eye-catching look. A useful addition to any table, this guar packet holder is a must-have for restaurants or homes with lots of coffee drinkers! Each order contains one sugar packet holder measuring 4.5” L x 2.25” W x 1.75” H. With 70 years of service, American Metalcraft is a leader in the foodservice industry for trend-focused and unique products. Add style and organization to coffee and tea time with Spectrum's Bento Sugar/Sweetener Packet Basket. Perfect for storing sweetener packets and tea bags, it is also great for holding small bathroom accessories such as cotton balls or small lotions and soaps. A pivoting handle allows for easy carrying from room to room. Made of sturdy steel, the unique wire design will add a retro touch to your home. Measures 3.25"L x 3.75"W x 2.5"H. Spectrum products incorporate original designs created by and for the exclusive use of Spectrum. Most of Spectrum’s products are protected by intellectual property rights including issued design patents and pending design patent applications. Protection for certain products may be provided and/or augmented by other federal and state proprietary rights including trademark, trade dress and copyright rights in the appearance and design of the products. Nantucket Basket by Wedgwood was inspired by the meticulous hand crafted baskets of Nantucket, Massachusetts, from the late 19th century. Made of pure white sculpted fine bone china. Perfect for everyday casual serving or more formal entertaining. 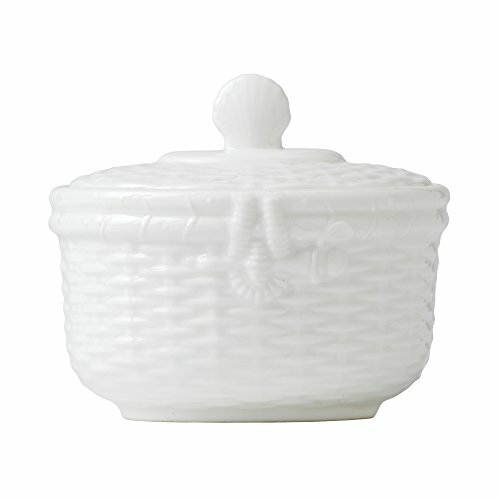 The Nantucket Basket Sugar is suitable for the dishwasher. Coordinating china and accessories are also available. Organize your sugar packets, sweeteners or teas with this beautifully designed scroll sugar/sweetener packet basket by spectrum. Perfect for entertaining guests. Coffee and tea time just isn't complete with this piece. 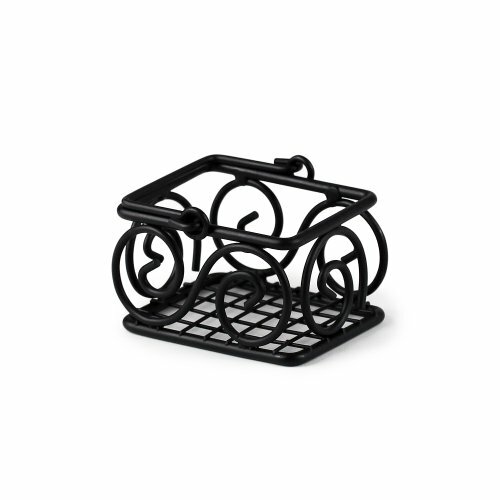 Crafted from durable steel, this basket includes a pivoting handle for easy carrying. Measures 3.5"L x 3.5"W x 2.5"H. Spectrum products incorporate original designs created by and for the exclusive use of Spectrum. Most of Spectrum’s products are protected by intellectual property rights including issued design patents and pending design patent applications. Protection for certain products may be provided and/or augmented by other federal and state proprietary rights including trademark, trade dress and copyright rights in the appearance and design of the products. 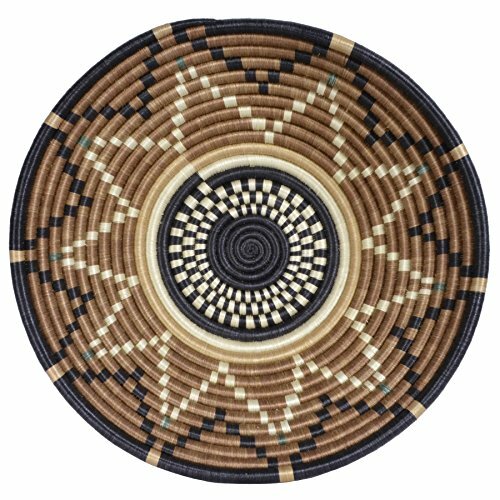 Craftswomen in Rwanda use timeless artisan techniques to weave dyed sisal fibers and sweet grass to create one-of-a-kind pieces rich in African heritage. Their work gives them the dignity of providing electricity, clothes, food, and health insurance for their families. All Across Africa, a member of the Fair Trade Federation, has curated the work of these talented women, giving you the opportunity to create a stunning collection of diverse weave patterns held together by their beautiful designer colorways. The collection includes baskets, trivets, vases, and other home accessories. 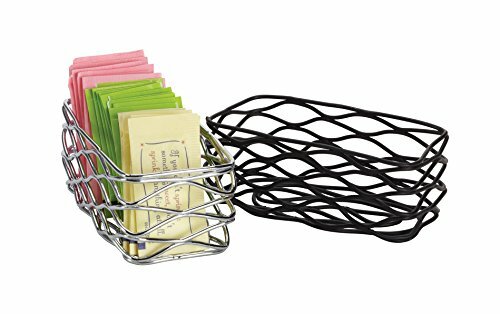 Display your sweeteners and tea bags in style with the Grid Sugar Packet Basket Chrome from Spectrum. Spectrum provides innovative storage and organization solutions for all your household storage needs. With no tools or installation required and non-damaging to cabinet or vanity surfaces, they make the perfect storage solution for college dorms, apartments, bathrooms and bedrooms. 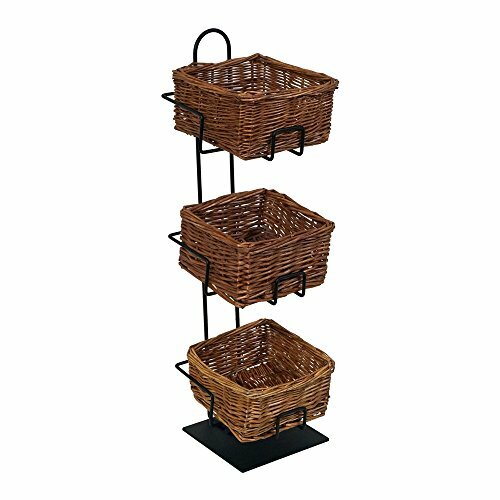 Our Mobile Merchandisers CR0620-3B-MB 3-Tier 3 square Willow Basket Counter Display Rack has a black matte tube steel frame. It stands 20 inches high by 6 inches across. It includes willow baskets. 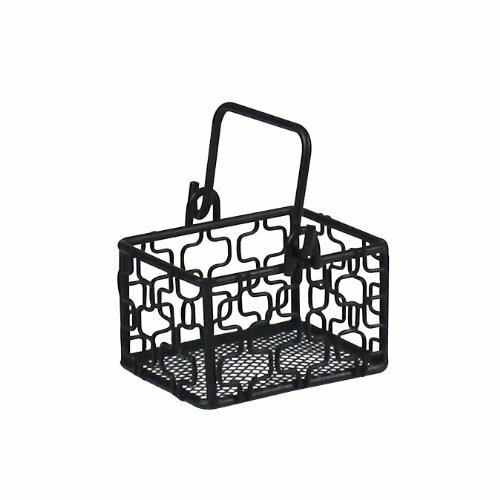 Basket dimensions: 6"W x 3"H x 6"D Overall dimensions: 6"W x 20"H x 6"D Model #: CR0620-3B. Learn step by step how to create beautiful sugar decorations to make your pastries more elegant. Learn how to create a sugar cage, how to caramelize fruits and nuts and how to pull sugar in a very simple way. 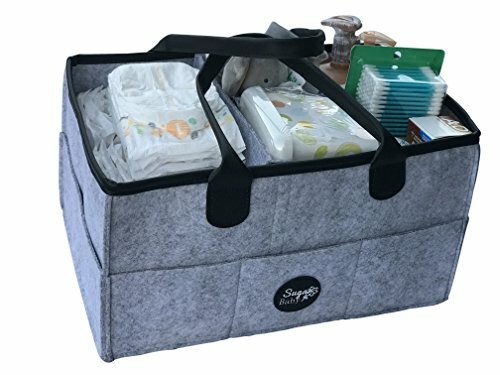 Compare prices on Sugar Basket at ShoppinGent.com – use promo codes and coupons for best offers and deals. Start smart buying with ShoppinGent.com right now and choose your golden price on every purchase.